Beardilizer: Now a Google Trusted Store! Beardilizer, glorious purveyors of all things righteous and beardy, has recently selected to join the Google Trusted Store program. To help shoppers identify online merchants that offer a great shopping experience, the Google Trusted Store badge is awarded to e-commerce sites that demonstrate a track record of on-time shipping and excellent customer service. When visiting the Beardilizer website, shoppers will see a Google Trusted Store badge and can click on it for more information. Everyone at Beardilizer is so excited to partner with Google to enhance your Beardilizer experience. Having this exciting opportunity is something that the staff here have all worked incredibly hard for. While some websites have had issues with data being compromised, now Beardilizer shoppers can rest assured that their purchases are protected. 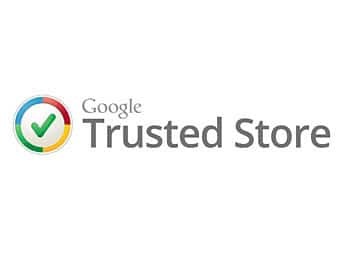 As an added benefit, when a shopper makes a purchase at a Google Trusted Store, they have the option to select free purchase protection from Google. Then in the unlikely event of an issue with their purchase, they can request Google’s help, and Google will work with Beardilizer and the customer to address the issue. As part of this, Google offers up to $1,000 lifetime purchase protection for eligible purchases. As part of the Beardilizer experience, understanding our customers and how to improve their experience is constantly on our minds. Fraud protection is something that we take seriously and want to help you avoid. When your data is compromised, or something less severe, it’s up to us (and Google) to help. A major benefit of shopping with Google Trust Stores is that all purchases can be made with confidence. There will be no more frenzied e-mails to unresponsive corporate e-mails. If you have an issue, we have an issue. Keeping our customers happy is part of our job, especially since we wouldn’t exist without our solid customer base. Google Trusted Stores is entirely free, both for shoppers and for online stores. The program helps online stores like Beardilizer attract new customers, increase sales and differentiate themselves by showing off their excellent service via the badge on their websites. Not to toot our horn but Beardilizer rocks. The Google Trusted Store badge is not easy to get and over at Beardilizer, we are so proud to show off a not beard-related trophy of sorts. While our team may have crushed it at WhiskerMania, we continue to crush it with our online presence. Without you guys, the customers, the righteous bearded ones, we wouldn’t exist! Beardilizer is by beards, for beards. We want to make sure that you can shop with confidence, knowing that in the event of any problem, you’ll receive the best in customer service assistance. So, remember when you’ve picked up a few things like some beard oil, or some beard wax, check the free purchase protection option. Beardilizer is so thankful for the loyal customers that we already have. Without you all, we could not have come this far and expanded into something so exclusive as a Google Trusted Store badge. So, thank you. From our beards, to yours.